Michel Goldman, MD, PhD, is the founder and co-director of the I³h Institute and Professor of Immunology and Pharmacotherapy at the Université libre de Bruxelles (ULB). He was the Executive Director of the Innovative Medicines Initiative (IMI) from 2009 to 2014. Previously, he served as Head of the Department of Immunology at Erasme Hospital and was the first Director of the Institute for Medical Immunology (ULB). Michel Goldman’s scientific achievements resulted in an ISI Highly Cited Scientist nomination in 2006 by the Thomson Institute for Scientific Information. In 1992, Michel Goldman received the Medical Prize Lucien Steinberg (shared with Pr. Peter Piot) and in 2000 the Quinquiennal Prize of the Belgian National Fund for Scientific Research for Clinical Sciences. He held the Francqui Chair at the University of Namur in 1999, at the University of Liège in 2003, and the Spinoza chair at the University of Amsterdam, the Netherlands in 2001. In 2007, Michel Goldman was awarded the degree of Doctor Honoris Causa of the University of Lille, France. 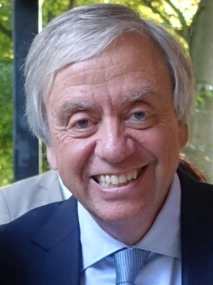 Mathias Dewatripont holds a Ph.D. in Economics from Harvard University (1986). 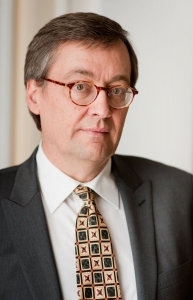 Since 1990, he has been Professor of Economics at ULB (part-time between 2011 and 2017, when he served as Executive Director at the National Bank of Belgium, – and, between May 2014 and March 2015, as its Vice-Governor – being responsible for prudential policy and financial stability and a member of the Supervisory Board of the ECB and of the Basel Committee). He is affiliated with ULB’s Solvay Brussels School of Economics and Management (SBS-EM) and ECARES. Between 1998 and 2011, he was part-time Visiting Professor at MIT and Research Director of CEPR. Laureate of the 1998 Francqui Prize and of the 2003 Yrjo Jahnsson Prize for Economics, he was a founding member of the Scientific Council of the European Research Council (2007-2012). He is a member of the Académie Royale De Belgique and Foreign Honorary Member of the American Academy of Arts and Science. He was also Chairman and then Dean of SBS-EM (2009-2011). He has widely published in the areas of contract theory, organization economics, innovation, and banking and finance, including Contract Theory (with Patrick Bolton, MIT Press 2005), “Academic Freedom, Private-sector Focus, and the Process of Innovation” (with Philippe Aghion and Jeremy Stein, Rand Journal of Economics, 2008) and “Of Mice and Academics: Examining the Effect of Openness on Innovation” (with Fiona Murray, Philippe Aghion, Julian Kolev and Scott Stern, American Economic Journal: Economic Policy, 2016). Hilde Stevens, PhD, senior researcher and lecturer at the I³h Institute, holds the Chair in Translational Medicine supported by the Fund Baillet Latour. She focuses her research on patient-centricity, collaborative innovation models, intellectual property (IP) and mechanisms governing access to medicines in the least developed countries (LDCs). Hilde particularly focuses on the governance and performance of public-private partnerships and their added value in the acceleration of innovative therapy development. Hilde is Education Officer in ENP Belgium, the Belgian Patient Platform, supported by EUPATI (European Patients’ Academy on Therapeutic Innovation). She holds a Master Degree in Biomedical Science (Ghent University, Belgium), a Master Degree in General Management (Vlerick Business School, Belgium), Master Degree in Intellectual Property (IP) Law (Brussels University, Belgium) and a PhD in Biomedical Sciences from the University of Leuven (Belgium). Hilde worked as a science consultant and was a patent engineer for several years. Anna Wozniak is Assistant in Educational Program Development at the I3h Institute. Most recently, she has worked as analyst for the insurer XL Catlin where she provided intelligence on clients and researched successful Public Private Partnerships in the developing countries. She has gained experience in project organisation and communication during placements at the United Nations and the British Council. She holds a Master’s degree in Administration in International Organisations and a Bachelor’s Degree in French Philology from the University of Wroclaw (Poland). 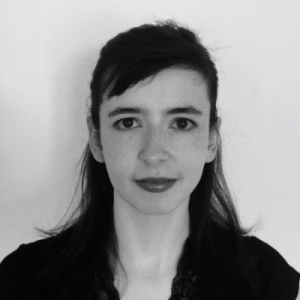 Marie Neunez, Ir, is a part-time research assistant at the I3h Institute and student in medicine at the Université libre de Bruxelles (ULB). She was a Clinical Research Coordinator for 2 years in the departments of Nuclear Medicine & Radiotherapy at the Institut Jules Bordet (IJB). She also performed a 5-months internship at BASF SE (Mannheim, Germany) in the Human Health & Nutrition department. Marie holds a MSc degree in bioengineering with a specialization in Science, Technology and Quality of Food (UCL, Belgium), a Postgraduate degree in Management (ICHEC Business Management School, Belgium) and a certificate in Clinical Studies (Cefochim, Belgium). Yassine is a research assistant at I3H. 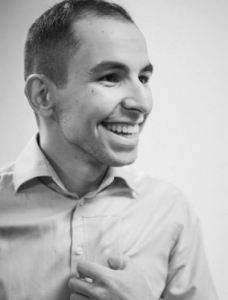 He is a Master student in medicine at the Université Libre de Bruxelles and has attended programs in Translational Medicine (ULB), International and Global Healthcare and Development (IGOG, Antwerp), Empowerment as a healthcare strategy (G3W/M3M), and Sociology of Inequalities (UAntwerpen). He has experience working in different refugee camps in Greece and France. As a volunteer for the Belgian Red Cross, he continues to work with the homeless in Brussels. At I3H, he will tackle the issues encountered in his field work to gain fresh insights and contribute to ending homelessness in Europe. Among his interests: global health, health diplomacy and human rights.